Ask Will A Question… | Will D.
With the exception of Dr. John Franz, the inventor of Roundup, there is probably not a person alive who knows more about the revolutionary product than Dr. Will D Carpenter. On a narrow scope, there were several people who had more in-depth knowledge, but no one had the vast realm of expertise about every aspect of the product – right at his fingertips! Not only did Dr. Carpenter have a clear understanding of the science behind Round-up, but he knew the competitors, their products, and their strengths and weaknesses. He knew the changing farm technology, the shifts in farmer’s practices, and the regulatory arena. Will Carpenter knew how and what to do to get Round-up to commercialization, and very few mistakes were made in that process. He knew the origin of the research that led to Round-up, and in August of 1971, Will had 18 quarts, or two-thirds of the entire world supply of the product sitting on his desk. 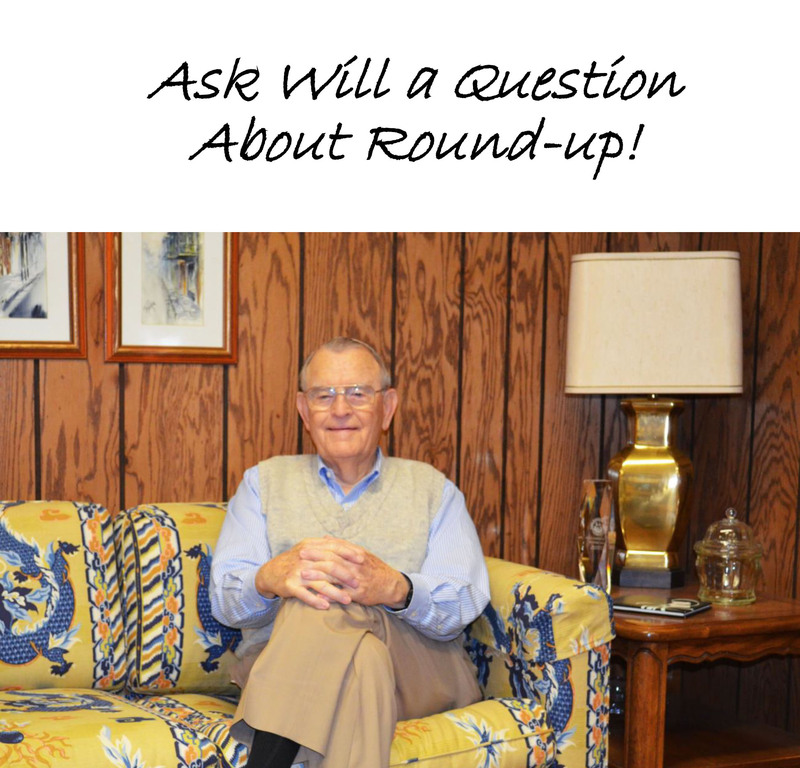 Round-up revolutionized agriculture world-wide, and Dr. Carpenter is the person who can answer most of the questions about it! So if there’s something you want to know about the product, ask your question here in the “Leave a Comment” box, (or, the “leave a reply” box) and Dr. Carpenter will respond. He looks forward to interacting with you!!! I am interested in your thoughts on the direction of science today. In your opinion, what are some of the most important trends in science today? 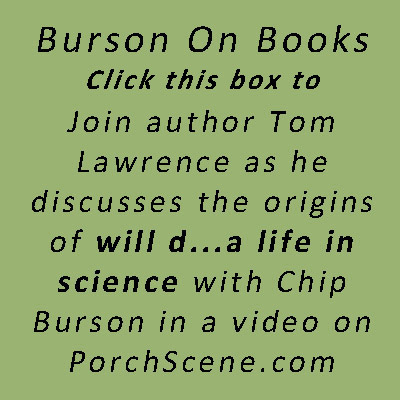 What scientific pursuit could most change our lives in the near future? And, how do we encourage our young minds to pursue science? Tracy, Your question (s) is at once one of the most important and one of the most difficult facing society today. Let me give you some reasons for that statement and then I’ll try to answer. 1) Very, very few people begin to keep up with more than one of the broad areas. 2) To obtain value from the new knowledge, one must be able to understand what is happening in several fields. Far too often, this is not happening. Having said all of that, let me list those areas that are changing our lives, and have been for the last few decades, and thus continue to open opportunities for our youth in the scientific field. To address the above, the need for engineers, scientists and medical sciences will have to increase significantly. The medical field, in terms of procedures, devices, and analytical techniques will be a leader for the foreseeable future, and food, from the time of planting until it reaches the consumer will be a real opportunity. While the number of fields that will be available to those who want a career in science is increasing, all have some of the same requirements. Such a career path demands self-discipline in order to be willing to dedicate the time and effort that is required for success. One doesn’t have to become a recluse, but the scheduling demands are often more challenging than for someone majoring in history or the arts, for example. It has to be something that one loves, in order to be willing to devote the serious time allotment that is necessary for success. Keep in mind that those who want a career in science are competing with students from Japan, China, Korea, Germany, etc. These students spend hours that far exceed anything typically spent by students in the US. It is vital that our students do more than just what is required by the instructors. The fact that you are asking these questions sets you apart from many. It is a good beginning. As always Dr. Will, very well said. Dr. Carpenter, I recently read that congress will soon pass new legislation regulating the “toxic chemicals” This new legislation is intended to replace laws enacted in the mid 1970’s. Is this needed or just another case of making a bad situation worse? Lance, I do not know the details of the new TSCA proposed bill. It is possible that several of the parts of TSCA could be revised with substantial improvement. However, the odds are that this will not happen. It would be useful if both sides could offer constructive changes. Pingback: ASK WILL THE QUESTION! | Will D.